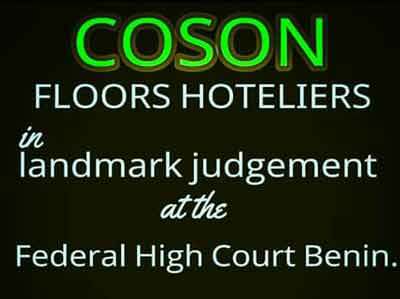 The Federal High Court in Benin City presided over by Justice A.M. Liman on Friday, October 21, 2016 gave a resounding victory to Copyright Society of Nigeria (COSON), the nation’s sole approved collective management organization for musical works and sound recordings in a landmark case brought against COSON by the Incorporated Trustees of Association of Hotel Proprietors of Edo State. Joined as Defendants in the action were the COSON Coordinator for Edo/Delta States, Mr. Biodun Eguakhide and the Edo State Commissioner of Police. In the suit brought by originating summons on November 27, 2014 as suit no: FHC/B/CS/137/2014, the hoteliers asked the Court to determine a total of seven (7) questions related to the powers to enforce the copyright of owners of musical works and sound recordings in hotels and similar establishments in Nigeria. On whether by the provisions of Section 38 of the Copyright Act, the Police is not precluded from acting with respect to offenses under the Copyright Act, and whether the provisions of Section 25 of the Copyright Act can apply to any of the actions of the Defendants complained of in the suit, the court drew a clear distinction between the civil liabilities provided in Section 19 and liabilities pursuant to Section 20 which prescribes criminal sanctions with respect to copyright infringement. The court also emphasized that the police does not need any warrant to arrest an offender or an order of court to enter into the premises of the plaintiff’s members either alone or with a representative of COSON for any offence that relates to infringement pursuant to section 20 of the Act. 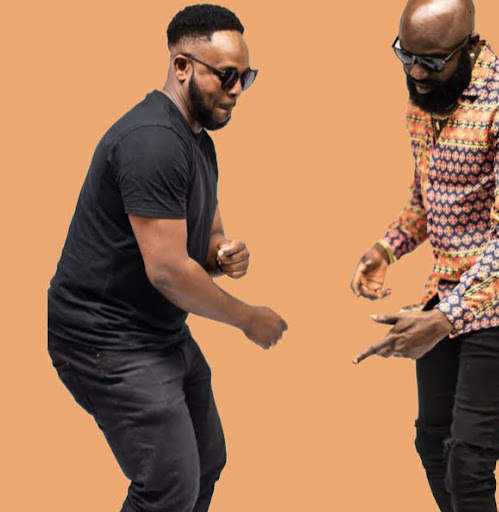 The court also held that Section 25 of the Act does not apply to the instant case neither does the appointment of Copyright inspectors preclude the police from the arrest and prosecution of copyright offenders as provided in section 20 of the Copyright Act. Justice Liman went on to say that Section 38(3) of Copyright Act does not supersede the provisions of Section 28 of the Police Act which is a product of Sections 174 and 211 of the Constitution of the Federal Republic of Nigeria on the powers of the police to investigate and prosecute all crimes and that Section 18 of the Criminal Procedure Act permits the police to arrest without warrant while Section 20 of the CPA permits a private person to arrest subject to certain conditions. The Court therefore ruled that the Plaintiff’s case lacked merit in all seven questions and relief sort. The case of the Hoteliers was therefore dismissed.